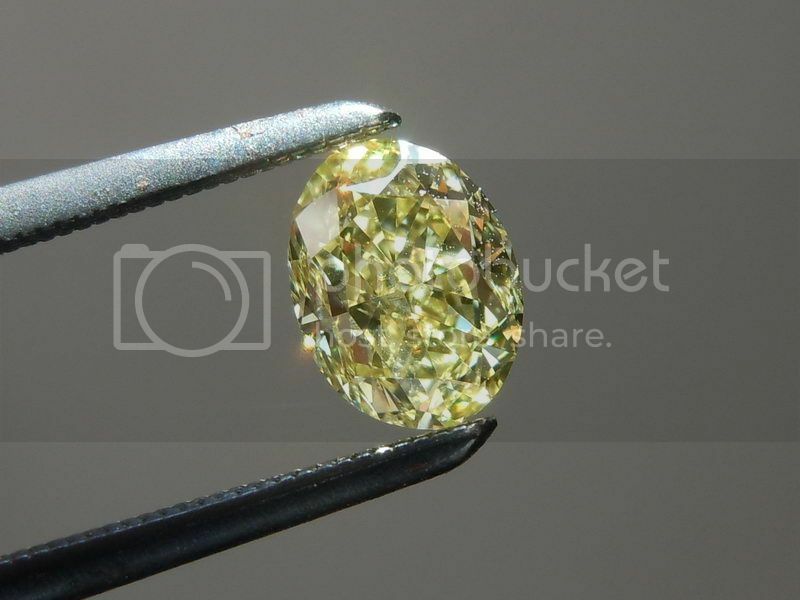 We started with a gorgeous oval shape diamond. 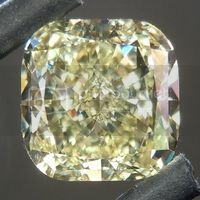 I love the way this diamond is cut. 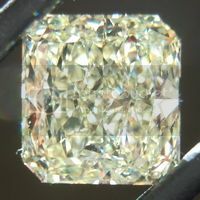 The diamond is full of sparkle and has no obvious bow tie. 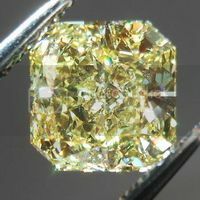 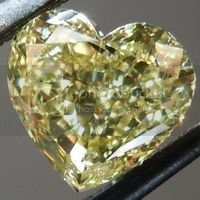 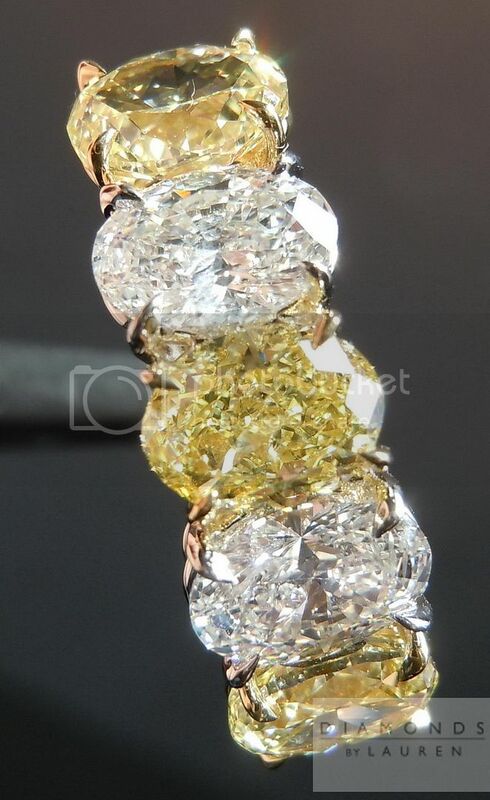 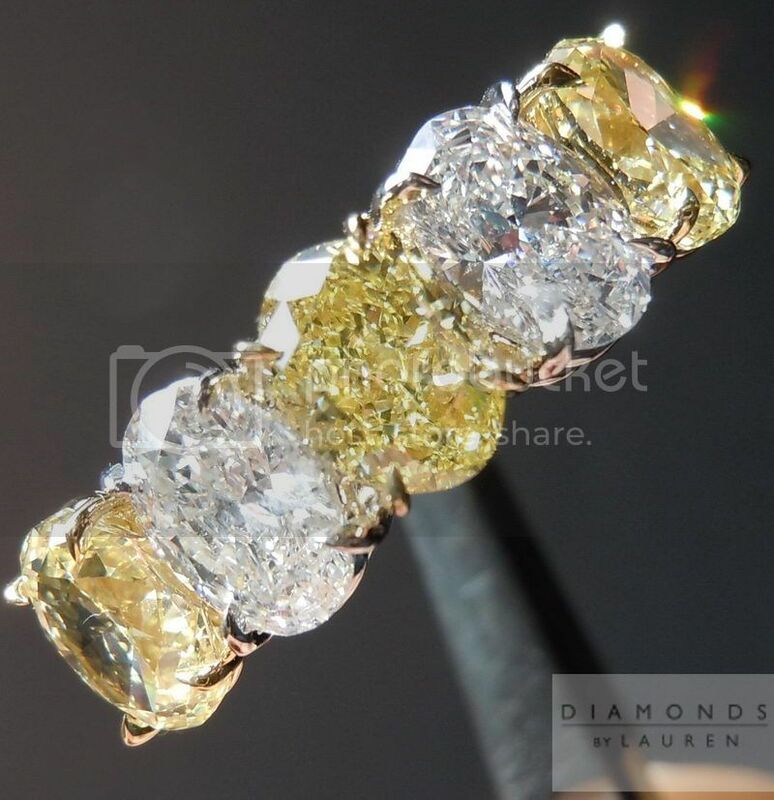 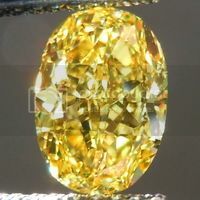 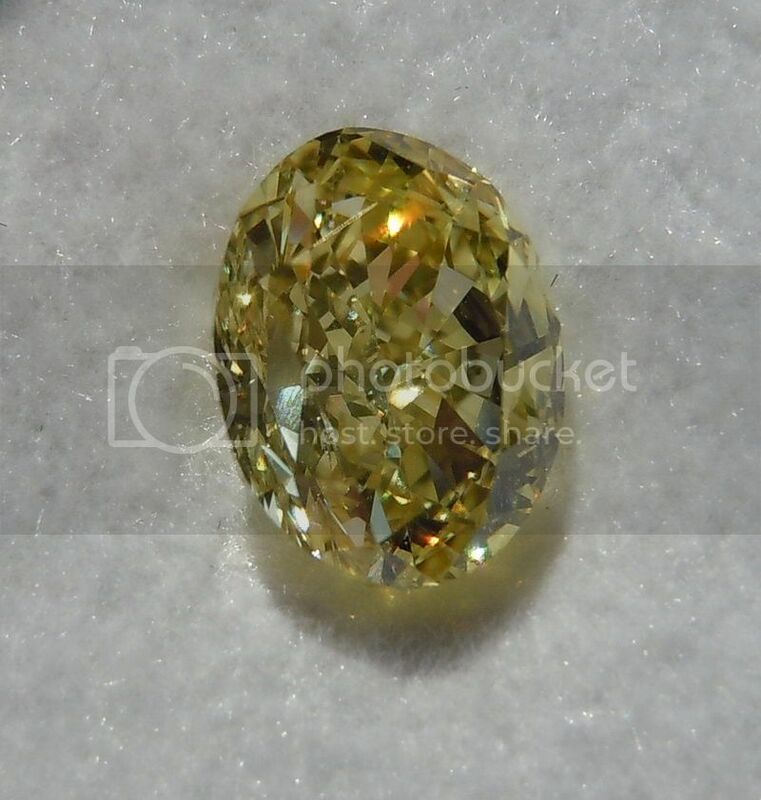 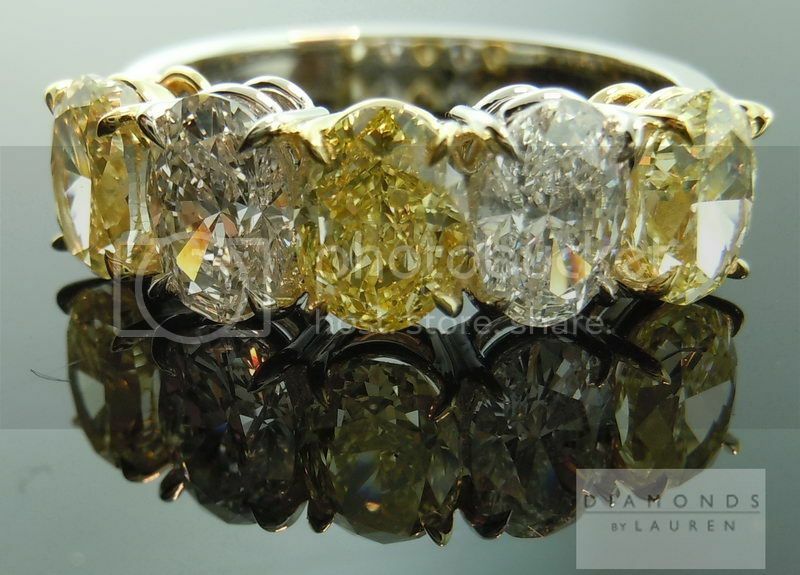 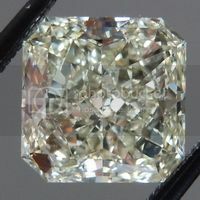 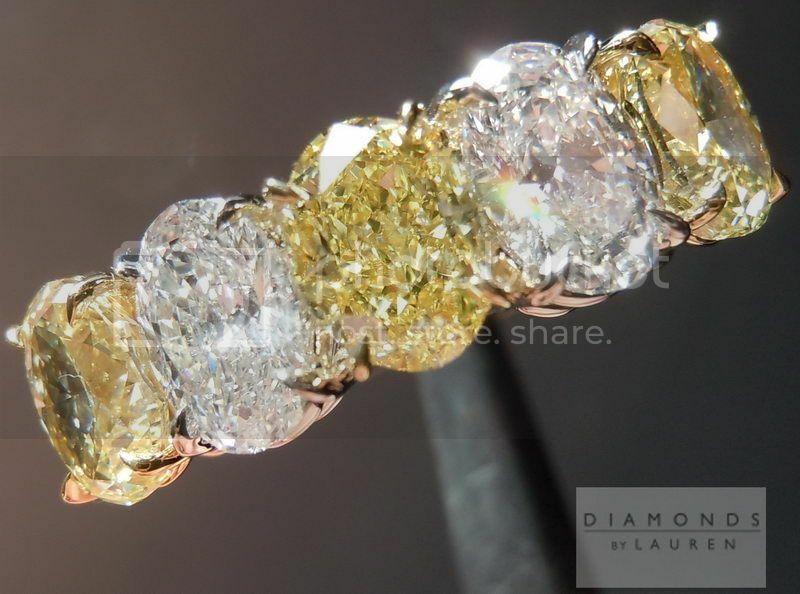 The color on this diamond has been graded Fancy Yellow by GIA - it is a very strong shade of Fancy Yellow at that. 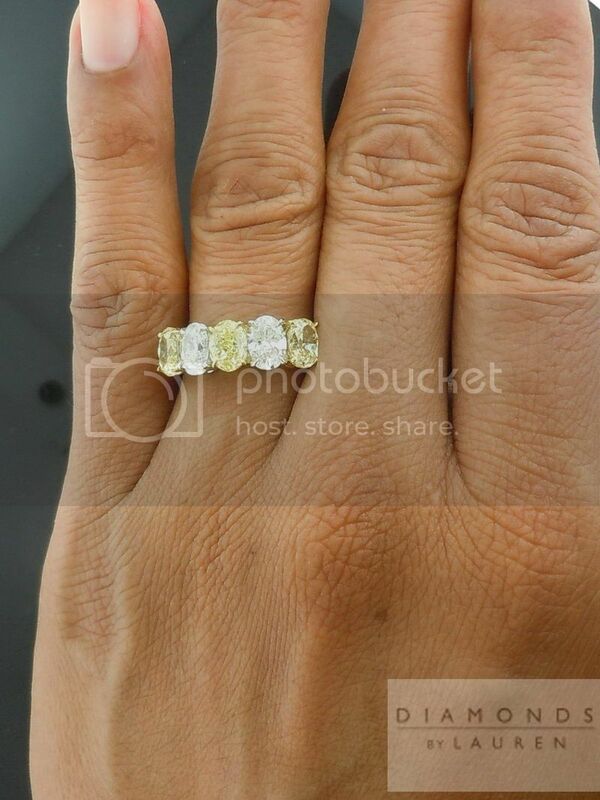 It really does look more like a Fancy Intense Yellow. 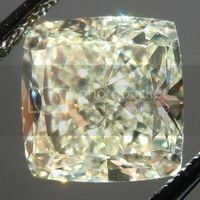 The clarity on this stone is a very clean SI1. 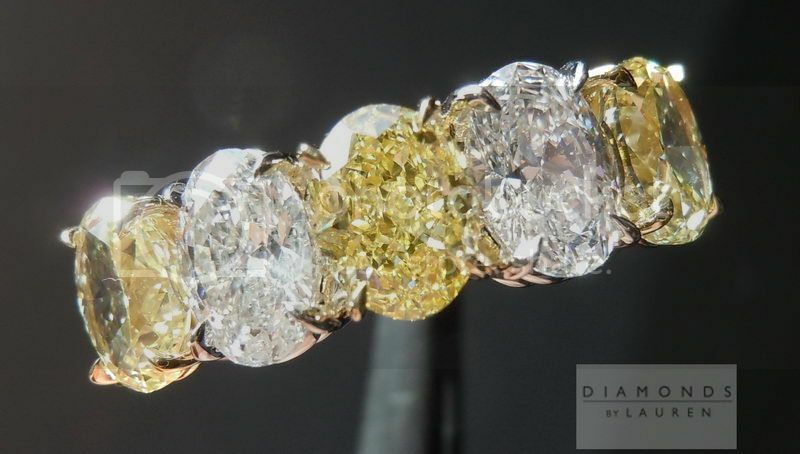 We obtained the four diamonds to accompany the .73ct Fancy Yellow at different times. 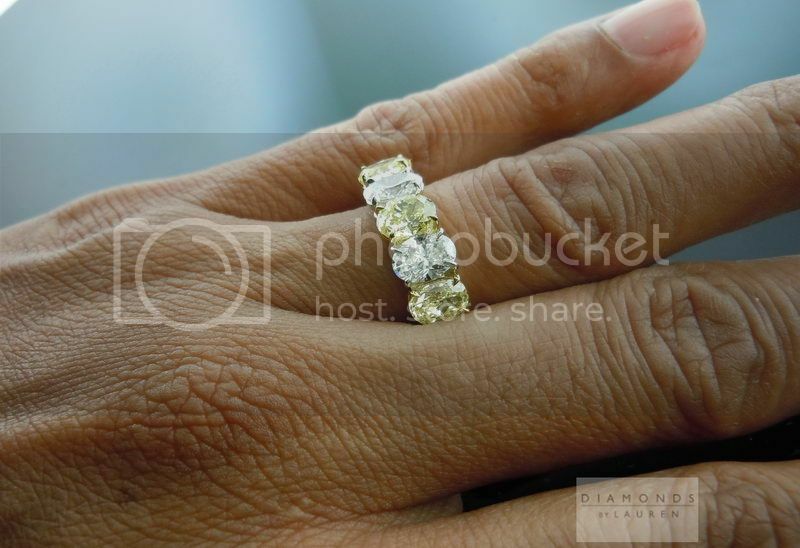 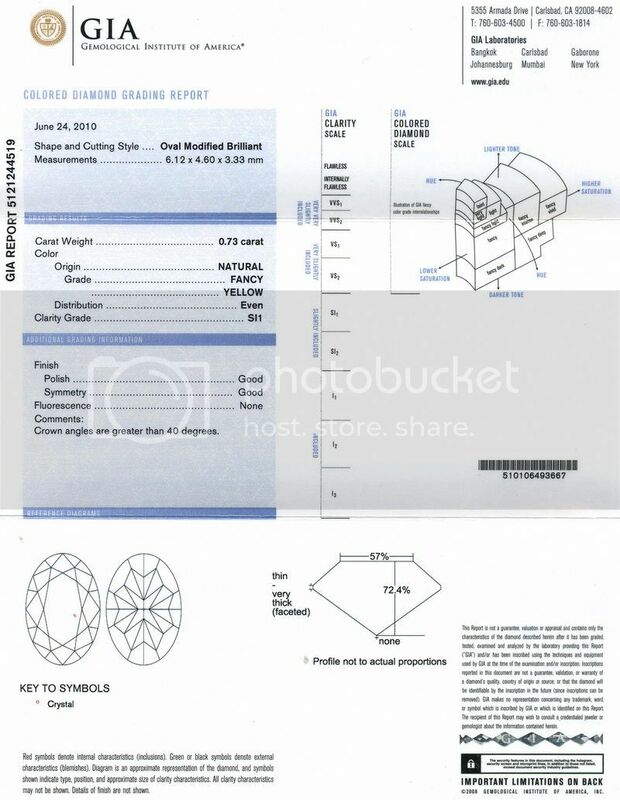 We got the two outside yellow diamonds to be used for an order - which was canceled. 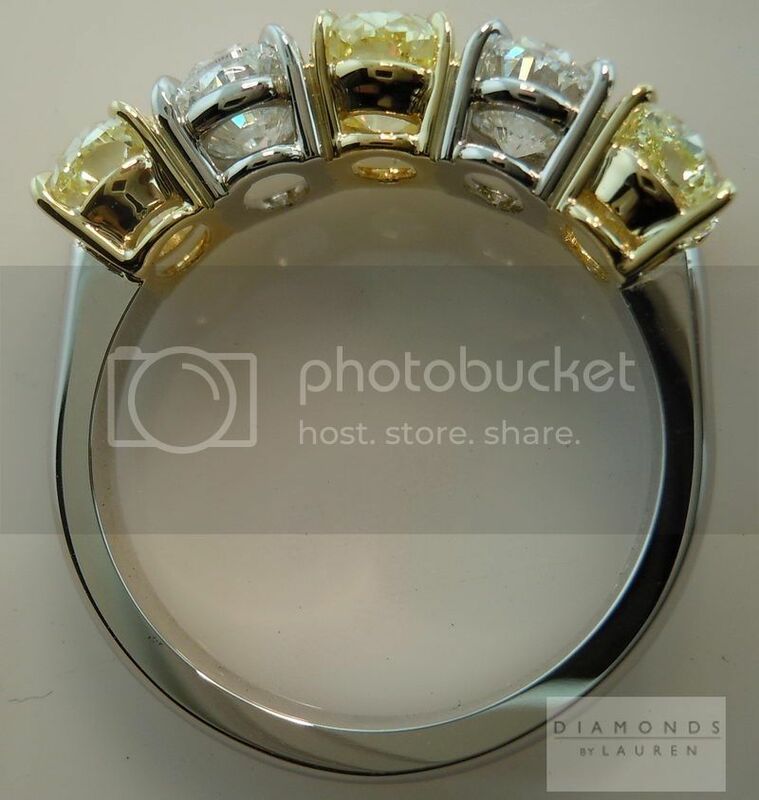 So we concocted the idea, and then the ring itself. 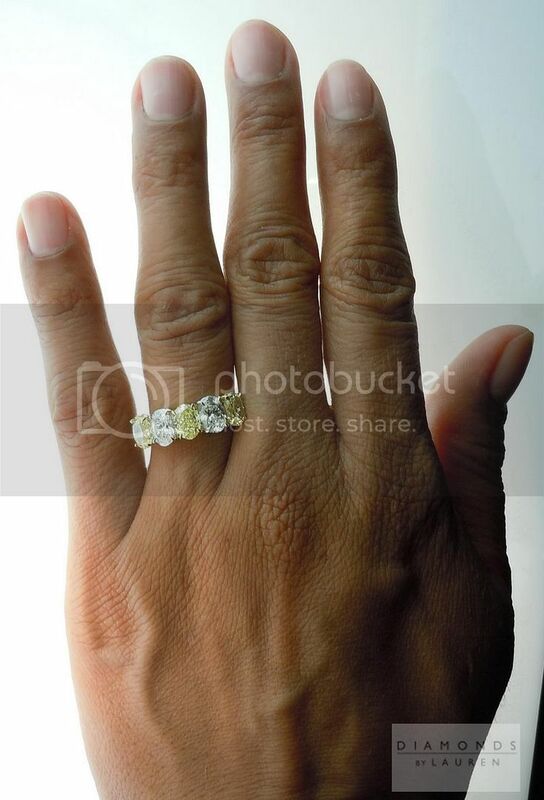 This design is fairly straightforward. 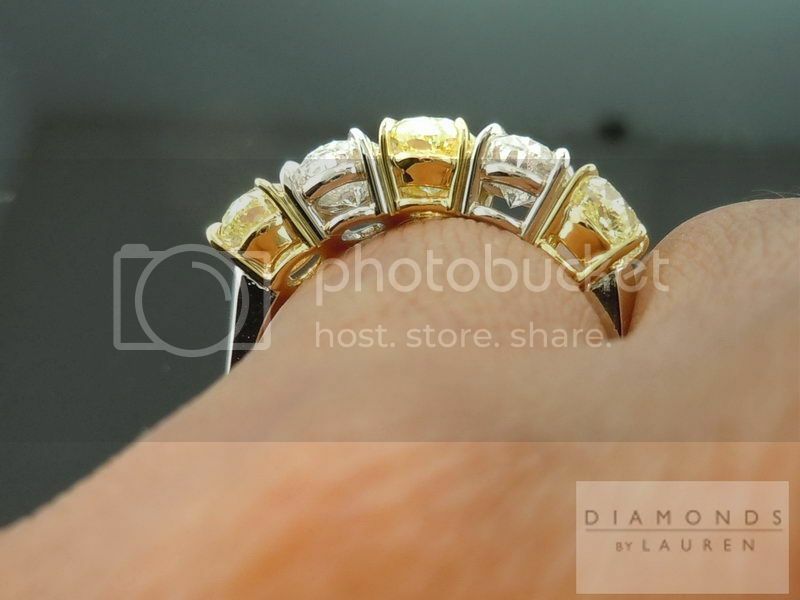 The beauty lies in the placement of the diamonds - and the overall execution of the design. 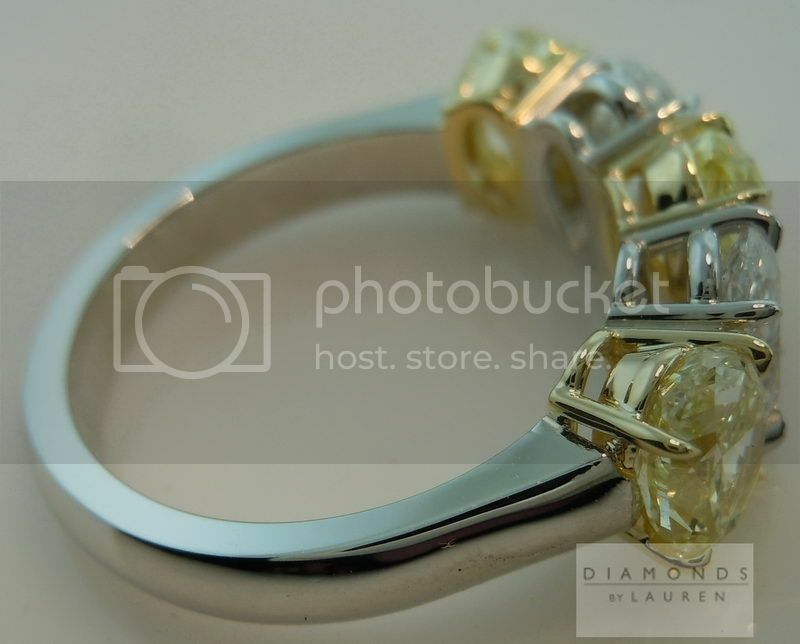 In this case we elected to use slender claw prongs - the prongs are hand forged. 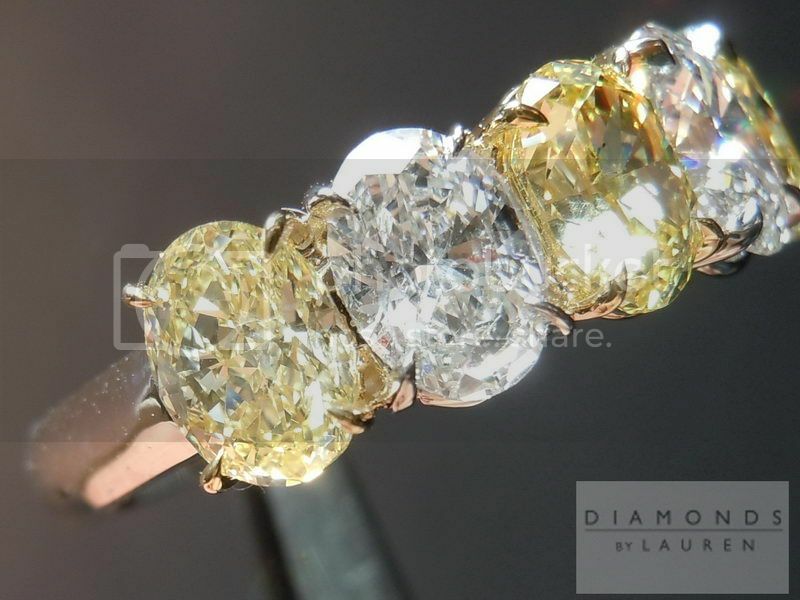 The blending of 18karat yellow, and platinum is seamless - and artfully done. 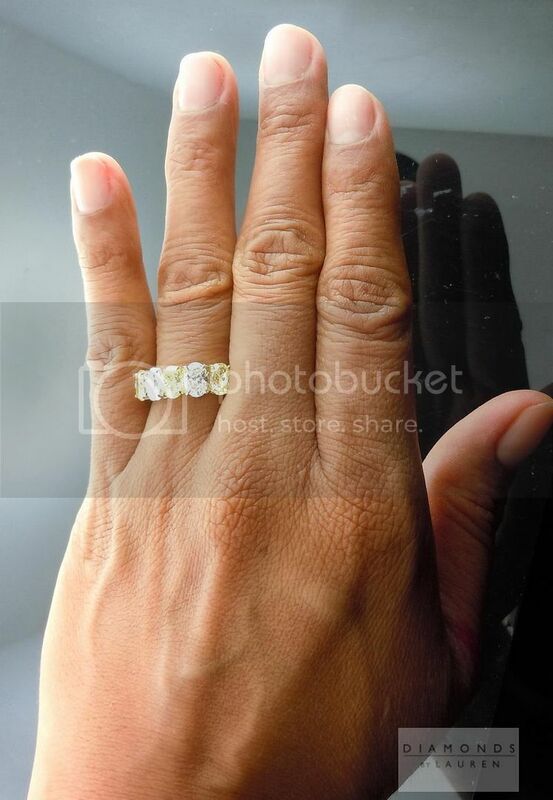 The ring looks like an eternity band when worn - as it really does stretch from finger to finger.